The Balzain Highway-Cagayan Valley Road is another major four-lane road network of Tuguegarao, part of Cagayan Valley Road that comes through Balzain and Carig, that forms part of the Asian Highway 26 ( ). It is the only road that serves north-bound traffic to Tuguegarao coming from the east side of the Cagayan River and most of Cagayan Valley. 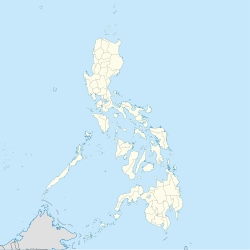 It also links Tuguegarao to surrounding municipalities, most notably Iguig and Peñablanca. These two main arterial networks serves as the backbone for the majority of Tuguegarao's internal and inter-regional transportation. This page was last edited on 12 April 2019, at 11:13 (UTC).